If you have a beautiful yard or garden space, then you need to make sure that it can handle the rain. April showers might bring May flowers, but your garden needs to survive it first. So, why not try putting a retaining wall into the space? This will help your soil remain firmly in place and so that your plants won’t become dislodged from where they were planted. Without a retaining wall, your garden could be on the verge of falling apart and ruining all your hard work. Why risk it? Protect your investment with a retaining wall. 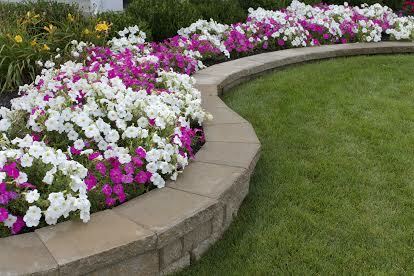 A retaining wall is a structure that will hold your soil in place. It can also give you multiple levels of area to work with in case you want to take your garden to the next level. If your garden is on a hill then you are particularly at risk for soil displacement. A heavy rain may cause the soil to run down the hill and make a huge mess at the bottom. No one wants to clean up a major disaster after a few days of rain. So protect your garden. It was an investment of time and money, so it deserves to be preserved. If your yard or garden space is particularly congested, then you may seriously benefit from a retaining wall. They can give your landscape multiple levels to work with. So, with a retaining wall, you may finally be able to achieve your fullest landscaping potential. If you’re on a hill, then you may also greatly benefit. A retaining wall will level your land so that your little flowers won’t have to struggle to hold their own against the rain. This entry was posted on Friday, April 3rd, 2015	at 6:30 pm	and is filed under Retaining Walls	. You can follow any responses to this entry through the RSS 2.0	feed. Both comments and pings are currently closed.